Instagram is getting a more and more popular means to market for small businesses. Right after Facebook, it captured its audience and keeps improving and adding new features that allow business owners build visual social media presence, relations with their customers, and sell their goods/services faster. 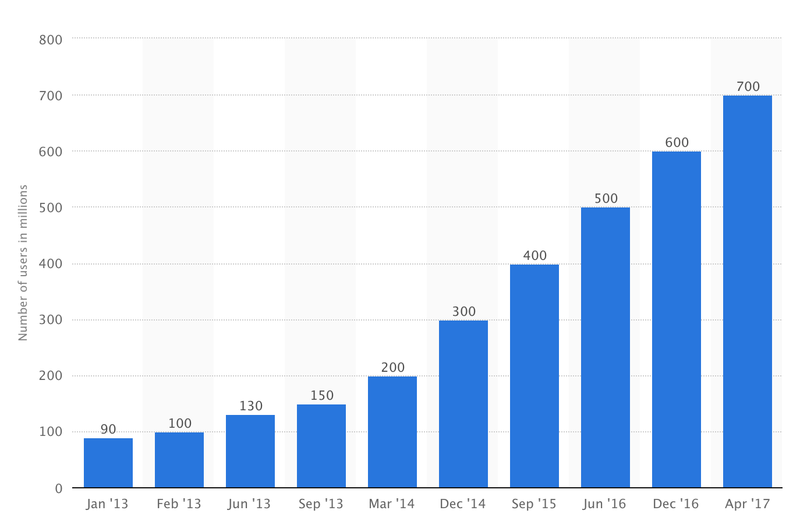 In April 2017, Instagram reached 700 million monthly active users, up from 600 million in December 2016. It is almost 8 times as more as it was in year 2013. Before creating a content plan for Instagram, make sure your target audience is there. Instagram is most popular with teens and young Millennials. 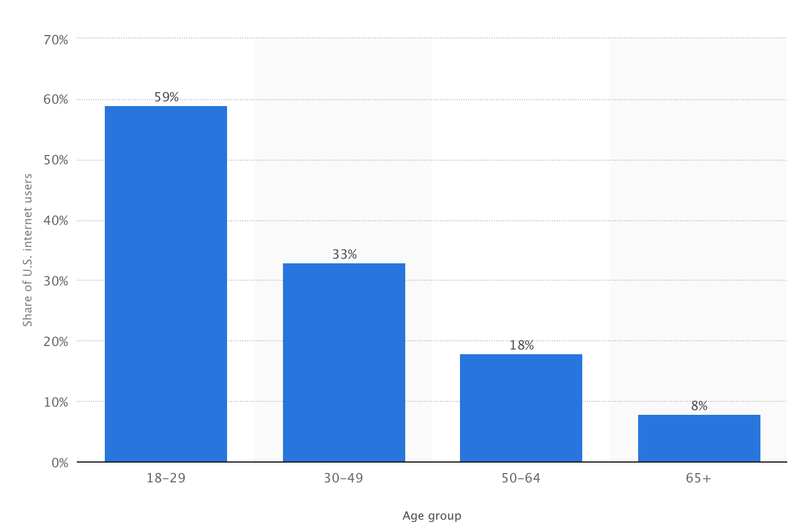 Half of American Instagram’s user base is between 18 and 29 years old. Yes, the sky is the limit for your imagination, but you need to understand what visuals your clients expect to see in their Instagram feed. Say you’re in the insurance business. 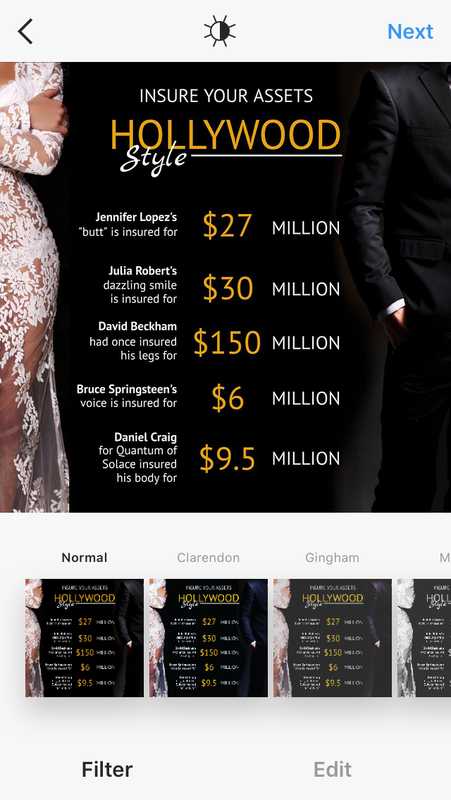 Being in that business, you might think that Instagram as a visual network is not for you but even young people need insurance. You can speak to them the visual language. If there are not much real photos of your goods/services that you can post, compose your content plan with such visuals as infographics, tips, statistics and hacks. You don’t need to create these posts on your own. You may think you will definitely need to outsource a designer and a copywriter or spend hours on creation. Not so! PromoRepublic provides 50+ industries with diversified pre-made posts. All you need to do is just type your keyword into the search bar, choose a template and customize it with your logo. The following part of this tutorial is built on my experience with successful Instagram accounts. I did research and analysis and found that there is a common strategy that unites these profiles. Successful Instagram accounts have a content plan that is diversified – they never post the same type of posts every day, e.g. Mondays and Wednesdays are for real products photos, Tuesdays and Thursdays for engaging quotes and Fridays for special offers. They mix it up based on when their users are online and based on other factors. They post regularly to “keep” their followers. Reminding fans and followers of their brand every day, they involve the followers into the brand life and make them feel like a part of it. The Instagram world is very competitive. 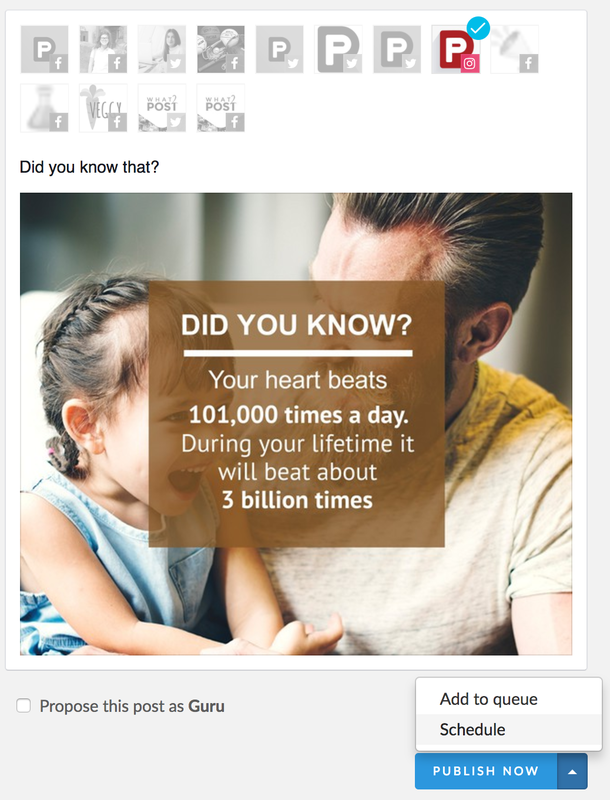 To be specific, not just your visuals need to be unique but your text as well. Successful profiles never post just to post, they communicate with their followers and have gained a voice that can be easily recognized in the sea of other profiles and posts. Posting many hashtags make your post look miserable as it means that you struggle your it to be seen by everyone not by people who are really interested in your brand and the message that your business carries. Create your own hashtags and post just those which are related to the post. Now you will see that all you need is just some time in a day and only one tool to run your Instagram business account on your own. With Instagram, all user attention will be devoted to one photo with your product in it. That means that you have less than a second to make them want to read your caption with relevant and useful information, like location details and anything else to intrigue your followers. Make sure you explain any product information in case followers want to purchase the products/services you feature in the photo. They understand that their target persona is a girl aged 16-20, so they choose feminine colors for their product photos. Instead of making a photo of one single product they created a composition of a must have set that will evoke the desire to get all the items in the collection. As Kikki.K has several product lines, they created hashtags for every collection. For example, if I’m interested in planners, but I don’t like this one in the photo, I just tap the hashtag #kikkiKPlannerLove and start browsing the whole collections that the brand offers me. You can not attach links directly to your posts, but you can remind users that there is one in the BIO. 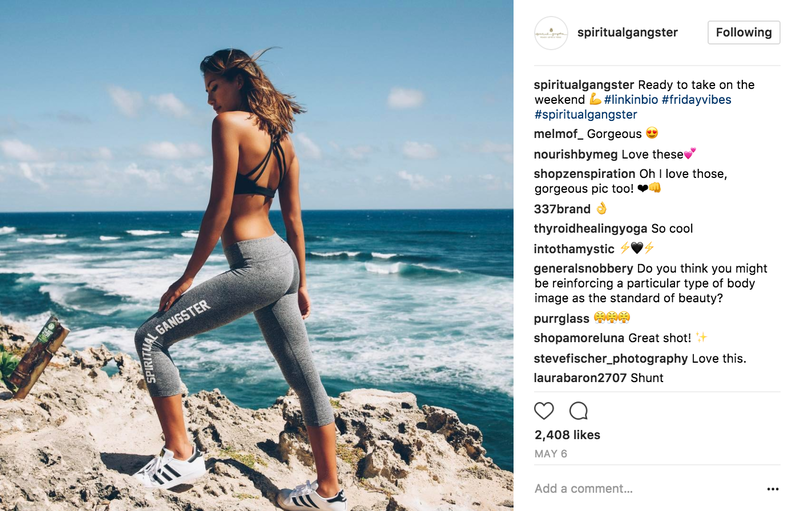 SpritualGangster, a yoga clothing brand, proves that you don’t need to create a special photo set to showcase your product. They take photos of their activewear predominantly outside. Who is their target audience? Young people who are in love with yoga and an active lifestyle. So, they just stage their clothes in a beautiful landscape. First, you see beautiful nature and feel the spirit of freedom and then you see yoga pants and definitely need a new pair for yourself as they associate you with this life in the photo that you want to have. Think about a dream location for your potential customer: tidy kitchen, neat office, cozy home etc. Think of your customer’s goals. SpiritualGangster knows that their customers want to have a fit body. So, they just inspire their followers to have it. Every “5 Steps to Go to Gym” starts with “Get yourself active wear that you always wanted”. Make your product unlocks the puzzle that they need to understand this picture. Consumers also often find it intriguing to get an exclusive behind-the-scenes look at your business’s products and services. Use photos to show how your products are made or how your services are carried out. Using a photo collage on social media allows you to reveal the process as it unfolds to followers, providing them with the feeling that they’re getting bonus insights just for being part of your social following. Odettes_Eatery show their staff life outside the walls of their cafe. Odettes want to be not just a place to eat, but a friendly place where you can come and talk to your barista friend and feel yourself as a part of this eatery family. To nurture these feelings they post photos of their team. 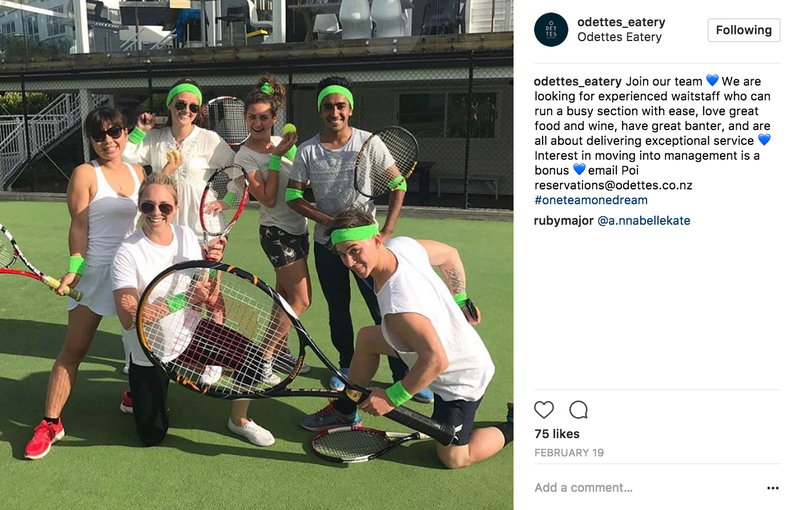 Such posts are also a great investment in their HR brand, as who wouldn’t want to work with such great guys who meet after work to play tennis together? Orphanskitchen show the way their coffee came before it got in your cup. Your followers might be fed up with polished photos of perfect life they see in their feed every day. Orphans Kitchen shows their followers real photos of how their products are made. You can show them your workshop or place where you create your goods for them or even the brainstorm the process of your team developing new services for them. There is for sure a lot of things that your client do not know about your industry. 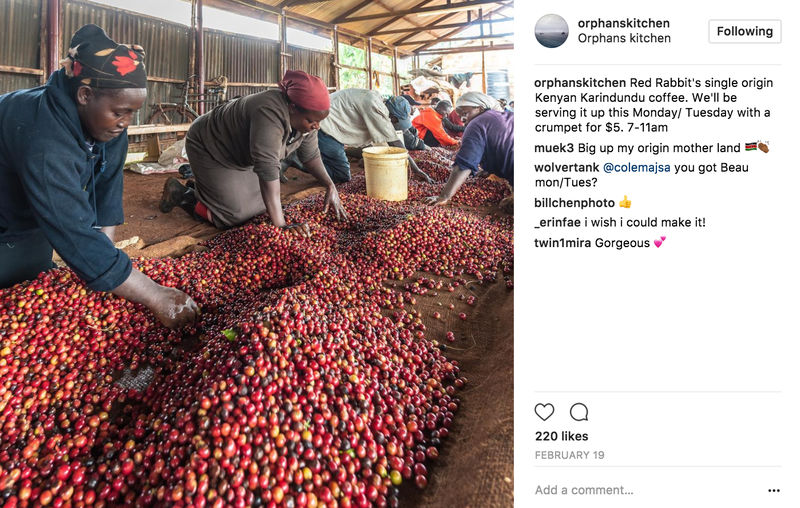 Like Orphans Kitchen does with Kenyan coffee – show how the beans are selected, do the same with your business. If you are a bakery – show how the dough for croissants is prepared, furniture business – explain how the wood is polished and so on. Provide exclusive offers for your followers. Introduce them to a new product or service before it goes live for the public. Also, offering discounts or special offers to your virtual following will keep them feeling like an exclusive group, as well as encourage others to follow you. Cafecrave never misses a chance to offer a good deal on a special day. Offering too much on ordinary days make your business seem like it is worth nothing. When you offer a deal on a special day you engage with your followers and help them with ideas to celebrate this or that special day. 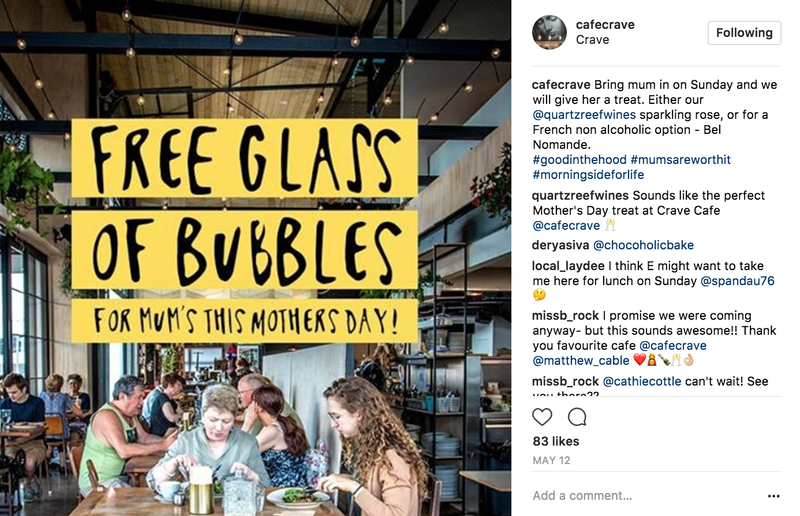 Cafecrave uses their own photo of their place in this promotion. This visual is also relevant to the Mother’s Day as you can see a mother having dinner with her daughter. 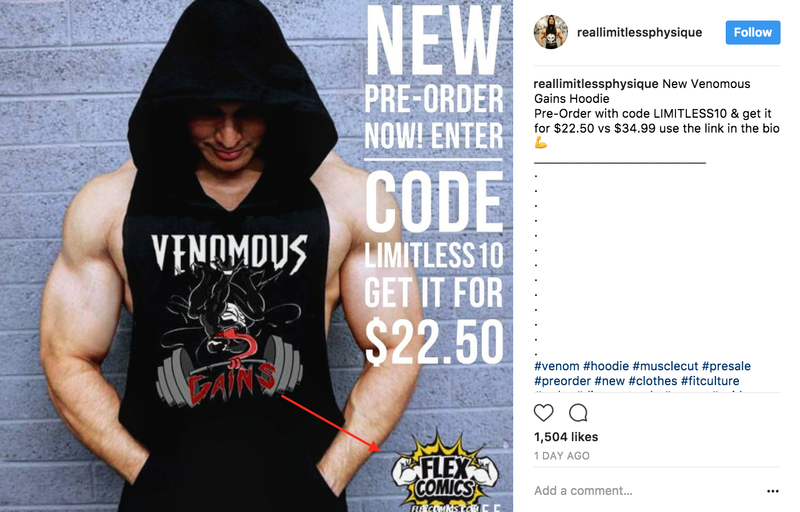 Reallimitlessphysique, personal fitness trainer collaborates with other brands and promotes their goods on his page. You can read about Influencers Marketing here. Create a coupon and offer it to get a discount. Coupons make your deal look special. Try to put your message (coupon details and offer itself) in the image. You remember that they first need to like your visual to read your caption. If you do not have a logo – create one. Customizing your posts allows you to distinguish them among others. But still try to develop your style of photo to make it easy for them to detect your brand posts. All the posts above were predominantly for “visual” brands, for those who have something to show. If you have no visual part of your business, you can use such engaging posts as quotes, polls, infographics, tips and hacks to engage with your followers on Instagram. 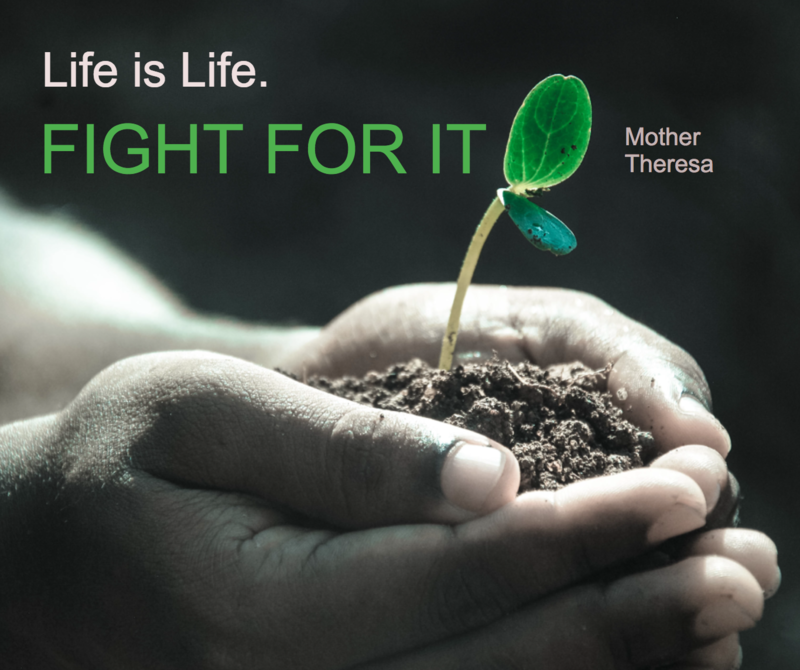 You will be a source of useful information and inspiration for them. 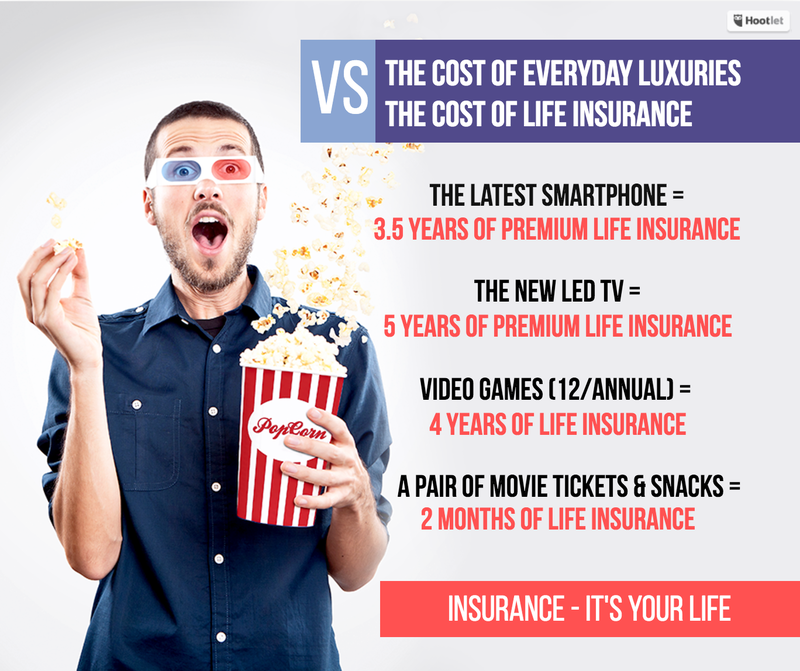 Let’s imagine you an Insurance Agent. 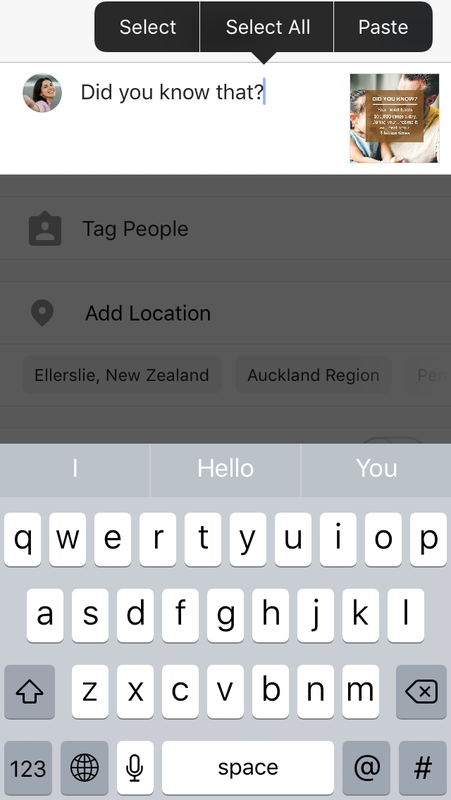 I’ll show you know how many posts ideas you can use for your Instagram profile. I’ll use PromoRepublic and its Post Ideas Library with pre-made templates. 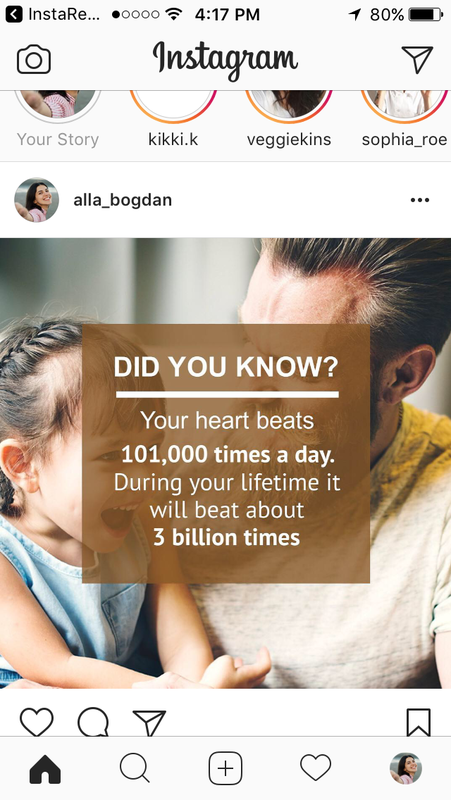 Quotes are the most beloved content on Instagram. But you need to understand what quotes and whose quotes to post. Think of the people who your followers admire and of their goals in life. 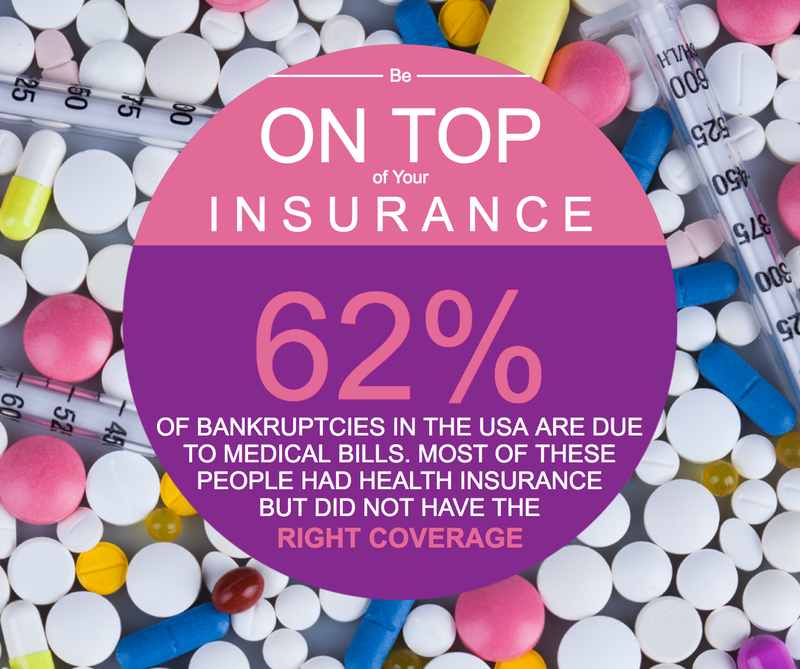 Remember when we talked about insurance companies? 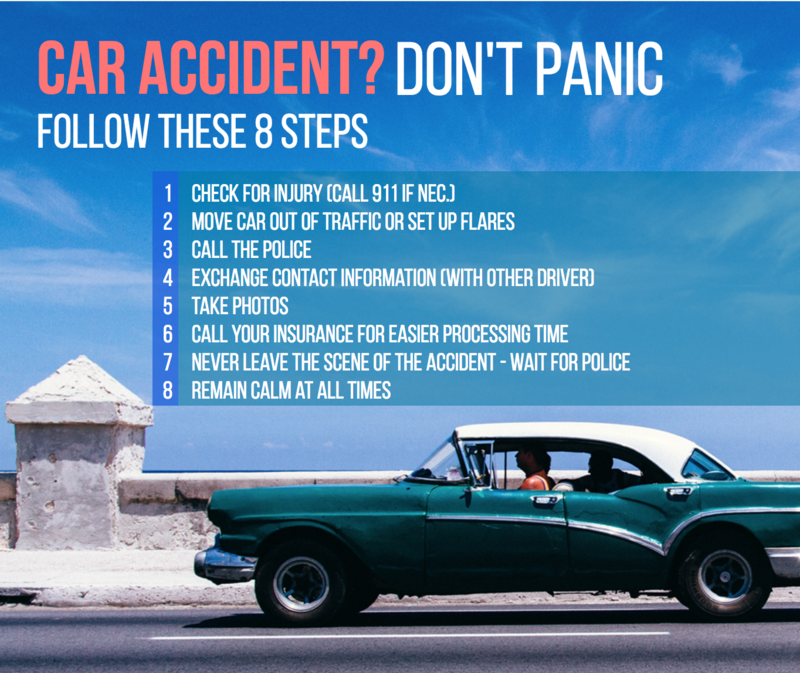 Pictures of an insurance policy won’t draw new fans and followers, but a fun post with a striking visual and interesting facts will. You don’t always have to give your viewers facts. 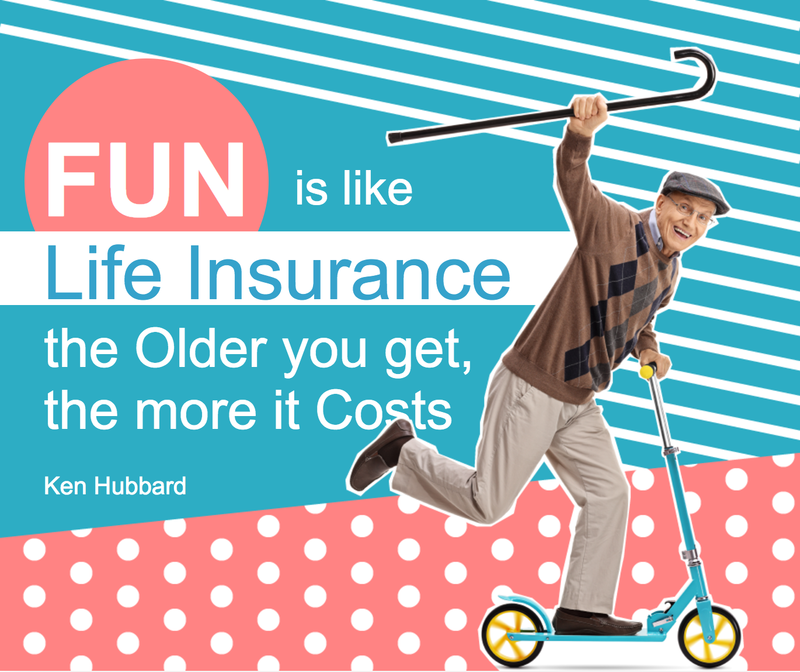 You can amuse and engage your audience with a fun post that features a cheeky saying. Education is key when you’re trying to hook and engage a social audience. Provide real value by telling them something they didn’t know. Again, giving valuable information to your fans and followers can go a long way toward building trust in your brand. 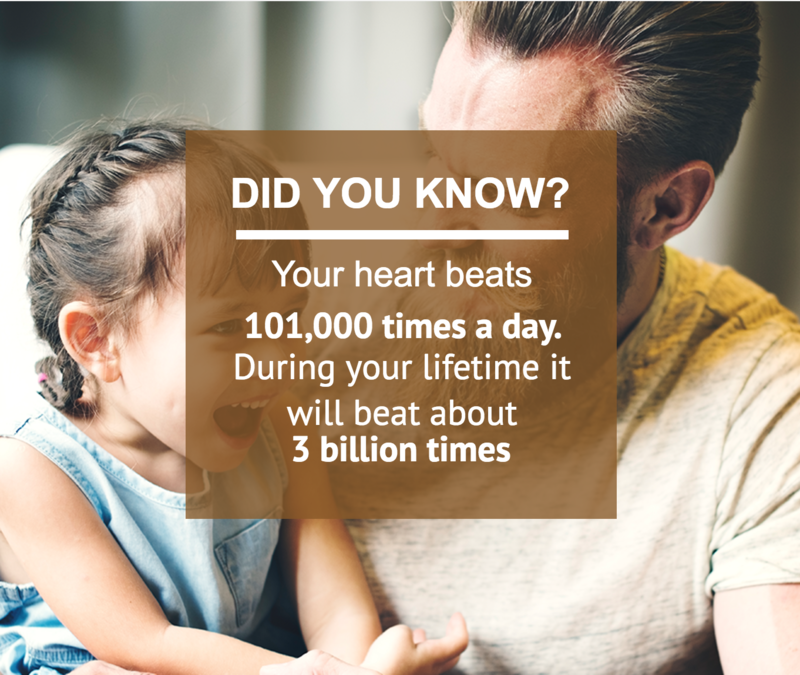 There’s really nothing like a tip or fact that reads like a quote. Telling people things about their lives and their bodies hits home in a way that not many other types of posts can. You will see that your post is waiting to be published. Tap on it. 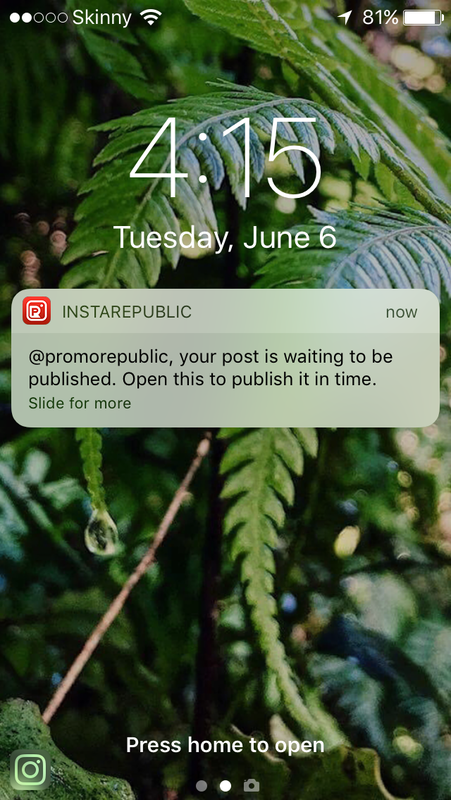 PromoRepublic copied your caption to the post. Paste it to the field and share the post. I hope you’ve enjoyed this tutorial. Now start posting!